square marshmallow: NOTD Ring Finger Glitter! 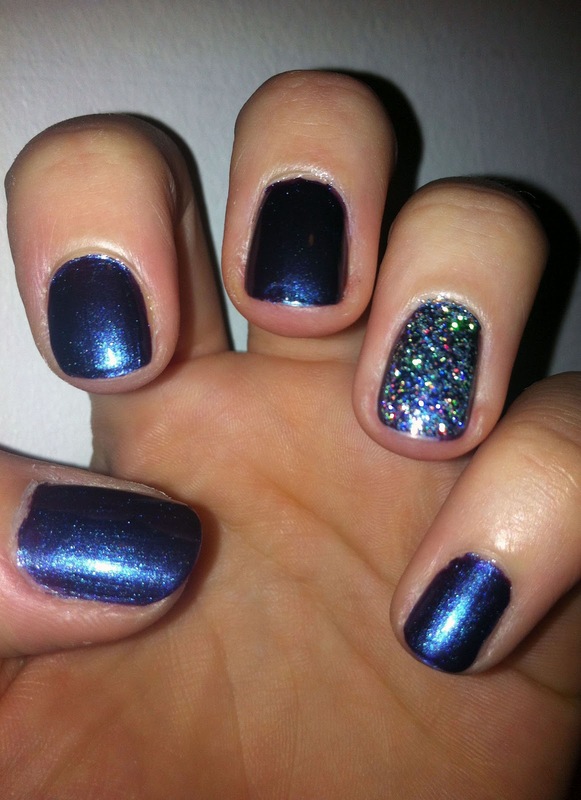 I thought I'd try out the ring finger trend by applying two coats of glitter to just the ring finger's nail. I picked up this gorgeous glitter nail varnish the other day from H&M for a bargainous £3! 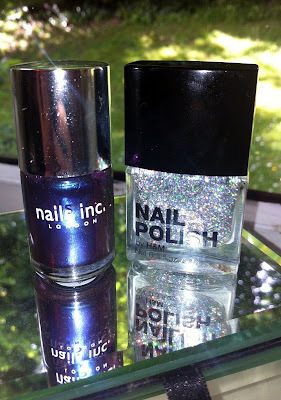 I have recently started using OPI's nail envy for senstive and peeling nails and have used it as a base coat here. I have awful nails and even though it is an expensive product at £18 I am desperate to stop them peeling! You are meant to apply it every other day on it's own as a healing product but I'm not doing too well at keeping that up at the moment! I have become a big fan of Seche Vite top coat. It makes the nails feel strong, protects against chipping and helps nails dry quicker too I think. which is a deep purple/blue. The left photo is taken with a flash, the right in daylight. I'm really impressed by the quality of the H&M nail varnish, I love how it has multi coloured glitter in different lighting. I will probably end up doing all my nails in it! I'd say it's a cheaper dupe of Models Own Juicy Jules. The Nails Inc is a gorgeous colour however it took ages to dry and had chipped by the morning which is a shame. 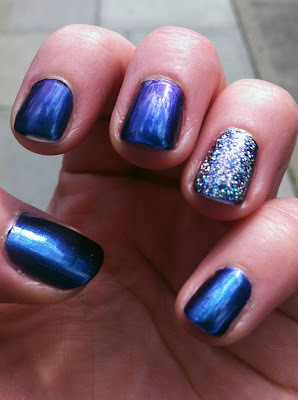 However I love the effect the two nail varnishes have together, reminds me of a galaxy print which I love! I'm terrible at painting my own nails! 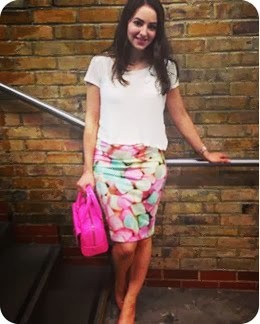 Following you back on bloglovin too!